TA2 Racing Australia management have today announced the sale of over 25 cars as the grid continues to build in Australia ahead of a planned expansion in 2019. 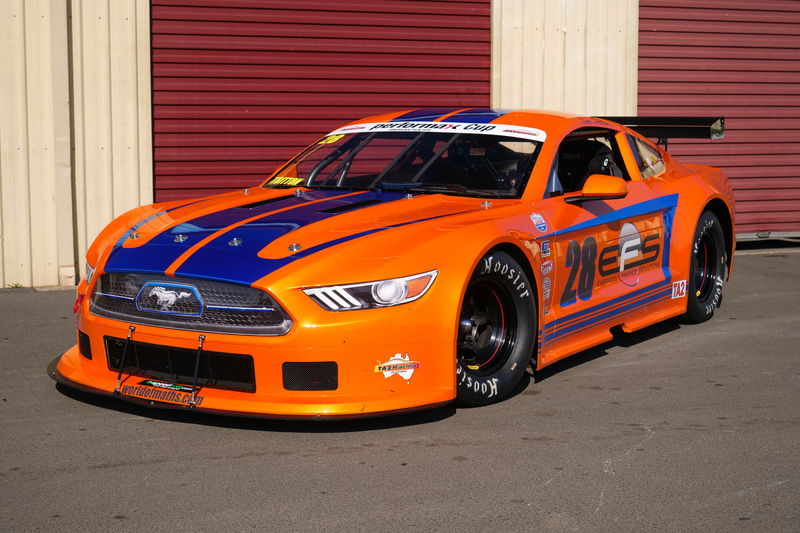 Performax TA2 Muscle Car Series manager Craig Denyer and PBR Distribution’s Peter Robinson made the announcement alongside a new Ford Mustang for former Sports Sedan racer Tim Tritton that will hit the track at the series’ final round at Sydney Motorsport Park on October 27/28. The series launched in Australia in 2016 as a cost-effective state-level racing platform, but expanded to a national calendar of events for the first time in 2018. The series has already welcomed the likes for former Toyota 86 Series racer Aaron Seton, Prodrive Racing Australia co-owner Rusty French, and next round former national Saloon Car champion Simon Tabinor along with Audi TT Cup racer Drew Ridge will join the field. The category recently placed an order for another eight cars to head down under, taking the total car count to 33 cars by the end of this year, including a two-seater Chevrolet Camaro ride car for corporate rides and drive days. Denyer confirmed ongoing discussions are being held with a variety of event promoters to put together a national calendar of events for 2019, and aims to have a calendar revealed shortly. “These cars are landed in Australia for about $130,000 fully turn-key, ready to race and cost less than $2000 per round to run, which is outstanding value for a racing package of this calibre. Aaron Seton dominated the penultimate round of the series at Queensland Raceway, taking pole position and a clean sweep of all four races as he climbed to sixth in the Performax Cup standings. The third-generation racer rates the series very highly. 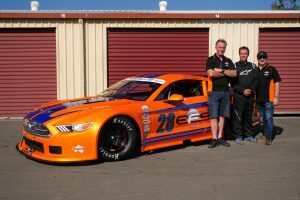 “They’re somewhere between a NASCAR and a Supercar to drive, they’re high horsepower, low aero and low grip so they’re a lot of fun to drive and a platform that produces great racing, plus because the series is so tightly controlled and the cars are so even, it’s great for honing your race craft,” Seton said. Denyer believes the series can cater for both aspiring racers and gentleman drivers. “It’s not just the gentleman drivers that enjoy the category, there’s more young drivers coming through and a real dynamic change as the series establishes itself as a true feeder category for Australian motorsport. Peter Robinson, the importer of the TA2 cars has been overwhelmed by the growth of the series this year. “The interest in the TA2 cars from the racing industry and the general public has been unbelievable, I don’t know another class of motorsport in Australia that’s taken off like this category has,” said Robinson. major announcement of over 25 cars sold for the series. The Howe Racing Enterprises-constructed TA2 platform is used in a variety of categories around the world, including the Trans-Am Series in America, the Costa Rican Touring Car Championship, the V8 Thunder Cars in Scandinavia, the Danish Thundersport Championship, Trans-Am Euro Racing, and a TA2 series has recently been launched in Asia by expat Kiwi Craig Corliss. “TA2, based on the American Trans-Am formula and a Trans-Am class in its own right has proven itself to be an extremely popular and successful category in America and Europe, and now we are seeing huge growth here in Australia as well as in Asia,” explained Robinson. Just 16-points separate series leader Ashley Jarvis in the Lighthouse Electrical Chevrolet Camaro from second-placed Russell Wright’s RoadBees Transport Ford Mustang with one round remaining. The final round of the 2018 Performax TA2 Muscle Car Series takes place with the Australian Motor Racing Series at Sydney Motorsport Park on October 27/28, with an awards presentation dinner to be held on the Sunday night.